We're your best source for costume rentals. Do you ship rental outfits? How do I pick them up? How much does it cost to rent a costume? 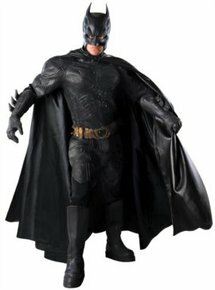 Should I buy or rent this costume? Do I need to reserve a costume? How much notice should I give? What are the most popular costumes to rent? 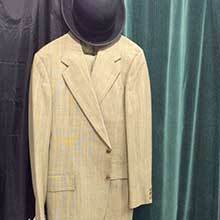 We have an enormous selection of costumes available for rent that we provide out of our huge warehouse in Chicago, IL. For local pickup, we're located in the Portage Park neighborhood conveniently just off Irving Park road on Milwaukee Avenue. 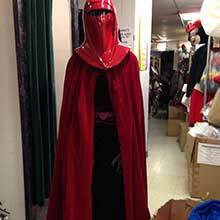 If you're in the Chicagoland area you can easily get to our store and check out all our costumes available for rent. Don't live in Chicago? We ship costumes online, too! 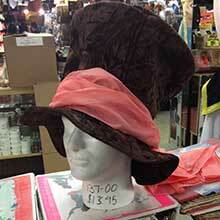 Need something special for a birthday party but your local party store doesn't have anything? 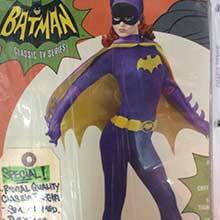 We can ship rental costumes easily to your location through a variety of shipping methods. 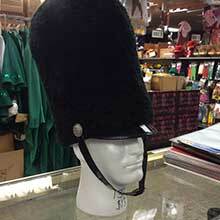 The easiest thing to do is give us a call and talk with our costume rental specialists. This really depends on what you're looking for and how many days you need to rent the costume for. We have tons of rentals available from $55 - $250 for 3 day rentals. Higher quality, more features usually means an increase in price, but give us a call to work out the details. Sometimes it just makes sense to rent. If you need a one-time costume or something higher end for occasional use, then renting a costume is a good move. 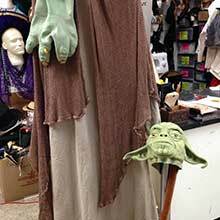 We offer plenty of costumes for purchase, but our rentals tend to be more theatrical quality and wouldn't fit into a casual costume buyer's budget. For example, we have one of the most authentic Stormtrooper costumes available to buy for $850. But you can rent it at a fraction of what it costs to purchase. If you're a cosplayer or a LARP regular, then you might see more value in buying or DIY building your costume. But if your kid wants a Stormtrooper at his birthday party next week, renting is the smartest move! View some of our Rentals! Please call us to check availability! Not everything is online. If you're renting costumes for the holidays especially, including Halloween, reserving a costume is going to be the smart move. Though we stock hundreds of rentals, they get booked fast. 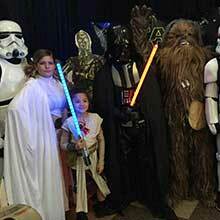 We're happy to help you over the phone to secure a costume for your special event. We strive to keep our website updated but due to our inventory of 1,000,000+ items, it can be difficult. Please call and we can provide our full inventory over the phone. Call Us to discuss your rental options! Directions to our rental warehouse in Chicago, IL. In a Hurry? 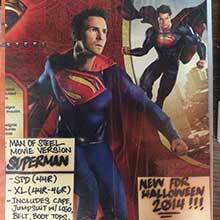 Download our Costume Rental Flyer PDF. Here's a small sample of our rental options. We have too many to list, please call 773-777-0222 (ask for the rental department) to get the full selection. Stormtroopers, Darth Vader, Boba Fett - you name it we've got it. From the light side to the dark side, we'll dress you up in your favorite hero from a galaxy far far away. Batman, Spiderman, Superman and more. 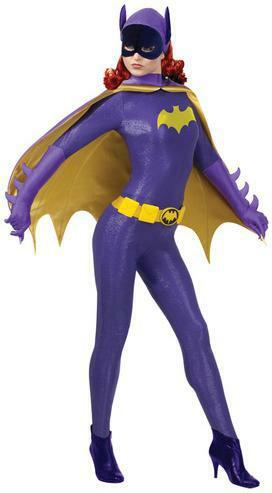 From classic costumes like the 60's Batman and Batgirl outfits to modern Dark Knight ones, our rental department has it all. 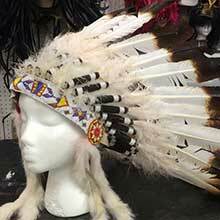 Native American headdresses, hats from storybooks and movies like the Mad Hatter's hat - we have realistic, movie quality headdresses for your outfit. Whether you're renting costumes for Halloween, Thanksgiving, Easter or a movie set - our selection can't be beat. 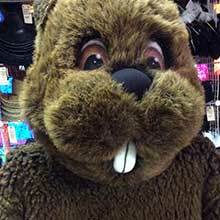 Adult sized, larger than life animal costumes for rent in tons of styles. Not just bunnies, gorillas, and beavers but pink, blue and purple ones, too. 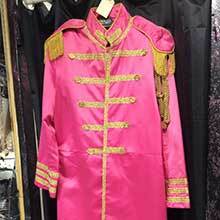 Our selection of costumes from lost eras is our single largest category of costumes in stock to rent. If you're having a 1920's themed party and don't want to spend a ton, consider renting our flapper outfits and accessories. 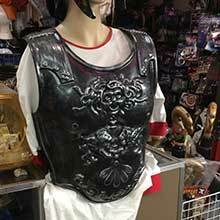 Other popular costumes that get rented frequently are our Roman gladiator armor pieces and our pilgrim and colonial clothes. 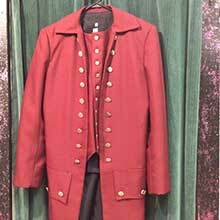 We have everything you need for Revolutionary War re-enactments or modern day military costumes. 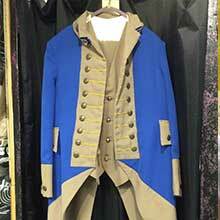 Our early American colonial outfits are especially popular for George Washington costumes. This selection is a big hit with local film and television production companies. 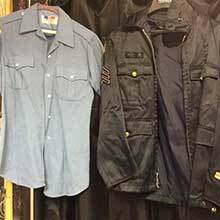 We stock plenty of occupational costumes. 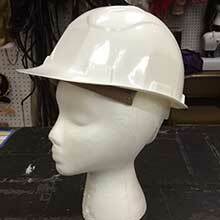 These are perfect for extras on set for movies and theatre, or for Halloween costumes. Turkeys, settlers, pilgrims, Native Americans and more. 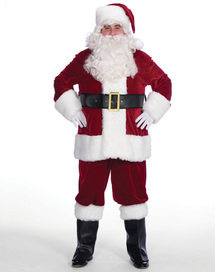 We have a wide range of Santa costumes for rent to fit and price point. Realistic, cartoony, pink and blue. Any bunny you can think of, we've got it! 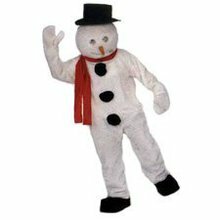 Our Snowman costumes are perfect for family gatherings or work Christmas parties! 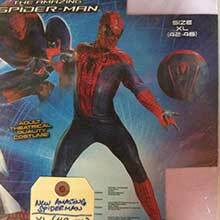 Jump off the page and into some serious web slinging fun with our affordable comic book character costumes for rent. Going to a movie premiere? Halloween? Cosplaying without all the prep? You'll look like you're straight out of the movies in these rentals. 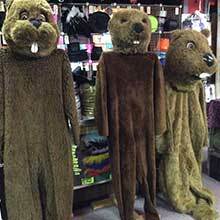 We have Halloween costumes for purchase and rent all year round! 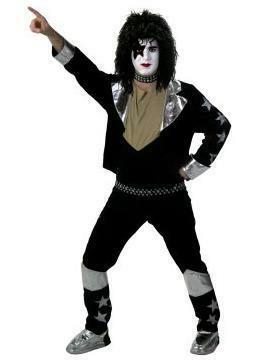 KISS costumes and other rock and roll music legends are waiting for you. Movie quality Stormtrooper costumes available for rent. Show off your dark side in a Darth Vader theater quality movie costume. Sports mascots, player and referee costumes available for rent. Seriously spooky aliens and brave astronaught costume rentals. 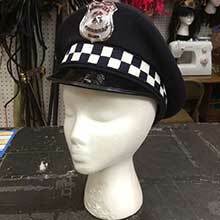 The boys in blue are back in town with our police officer costume rentals. Great for Halloween or theater purposes. Military themed mascot costumes and solider outifts for rent. Be a knight in shining armor with these medieval costume rentals. Long live the king! Our medieval king costumes will leave you feeling royally cool. 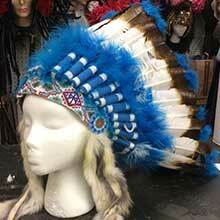 Mens and womens rental costumes for Renaissance festivals, fairs and Halloween. Disney and Minon rental costumes. The Day of the Dead or general Mariachi suit rentals. Who's hungry? We have tons of food and beverage related costumes. Dinosaur costumes for rent from cartoony to realistic. Clown costumes to rent for birthday parties and Halloween. 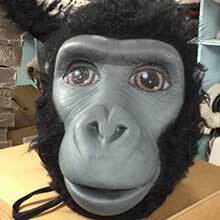 Hundreds of animal costumes from birds, dogs, cats, snakes, pink gorillas you name it. Classic characters from cartoons within the last 50 years.